Tuesday, April 25, 2017 5:00 PM South Decatur High School AWAY 5 Tri Jr/Sr High School HOME 6 Game Recap The South Decatur varsity softball team lost Tuesday’s away non-conference game against Tri in extra innings by a score of 6-5. Friday, April 21, 2017 5:00 PM Milan High School AWAY 9 South Decatur High School HOME 1 Game Recap The South Decatur Cougars softball team lost Friday’s home non-conference game against Milan by a score of 9-1. Friday, April 14, 2017 5:00 PM Edinburgh Schools AWAY 4 South Decatur High School HOME 2 Game Recap The South Decatur Cougars softball team lost Friday’s home conference game against Edinburgh by a score of 4-2. 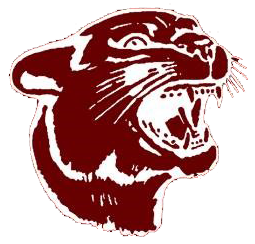 Thursday, April 13, 2017 5:00 PM South Decatur High School AWAY 3 Edinburgh Schools HOME 6 Game Recap The South Decatur Cougars softball team lost Thursday’s away conference game against Edinburgh by a score of 6-3. Wednesday, April 12, 2017 5:30 PM South Dearborn High School AWAY 7 South Decatur High School HOME 0 Game Recap The South Decatur Cougars softball team lost Wednesday’s home non-conference game against South Dearborn in extra innings by a score of 7-0.